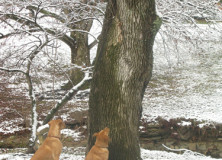 We awoke yesterday to a spring snow blanketing the world. 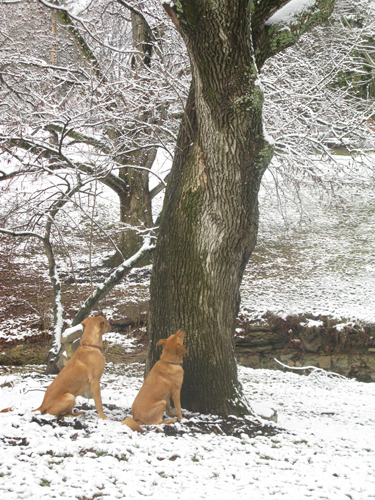 Iris and River did not let this dissuade them from tracking down squirrels in the ash tree out front. Iris is especially dedicated to the study of rodents. Once the roads cleared, it was time to head to Springfield, Ohio for what for me was essentially the beginning of the High Holy Season of Irish Music. 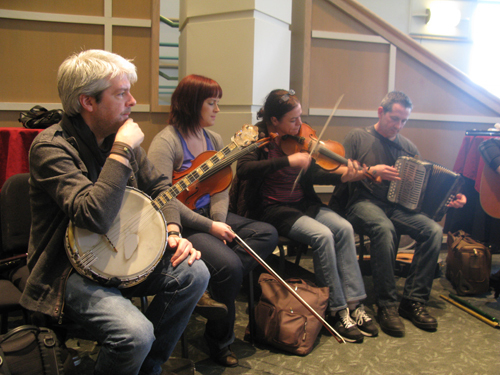 (The weeks surrounding St. Patrick’s Day) For the next couple of weeks, the opportunities to play, and listen, to Irish Music are abundant. 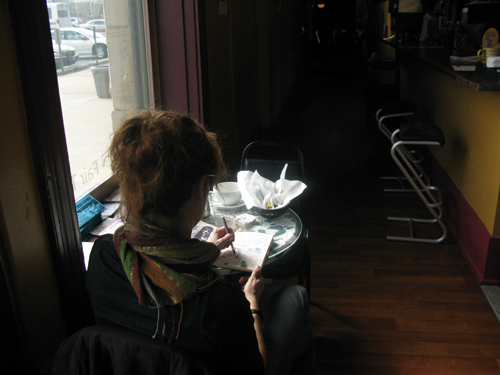 My good friend (and amazing singer) Kathy and I arrived in Springfield with some time to spare so we had a delicious sandwich and some tea at Un Mundo Cafe, a quaint place which seems to represent the renaissance happening in this little town. 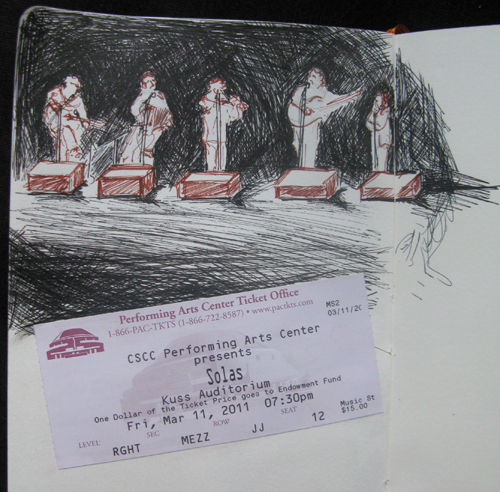 It was nice to have a few minutes to sketch before heading off to meet and have a couple of tunes and some conversation with the band members of Solas. Part of our experience was to be able to sit in on the sound check which is always interesting. To get sound to bounce around the right way in each new concert environment is a tricky thing. I enjoyed watching, listening, and drawing. The concert itself was fabulous. (Solas never disappoints.) 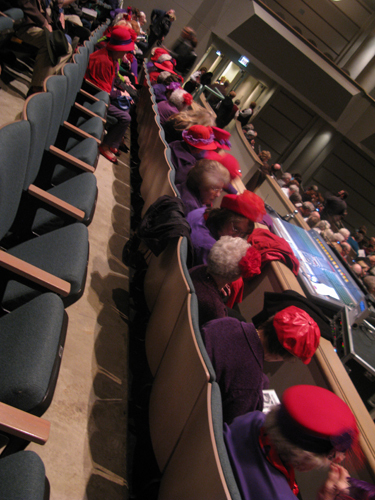 There was a large crowd of enthusiastic supporters which included some of the members of a Red Hat Society. 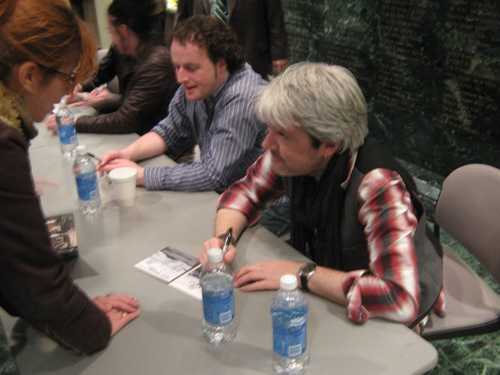 After the concert, we thanked the band and got CD’s signed. 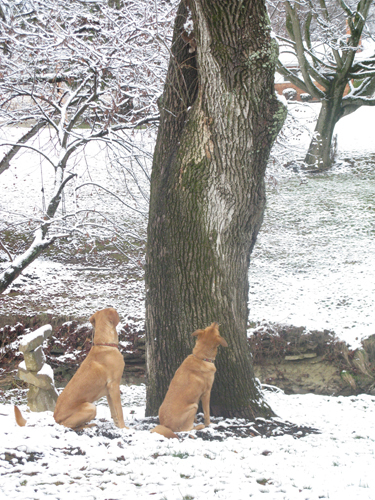 (I had them dedicate mine to Maddie who has been sick much of this week). I am so grateful to have gotten to spend a little time with these amazing musicians. They were all incredibly gracious and encouraging to all of the musicians who attended the event. It’s a truly wonderful thing to be a part of a musical tradition where one can meet the ‘rock stars’ of the genre. I sincerely wish the members of Solas safe travels as they go about their musical business. As for me, I am off to have some tunes with a few friends in the coming days…. I’ll keep you posted.